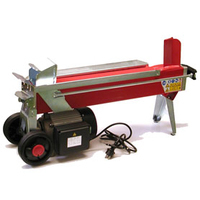 Log splitters are available in a variety of different models in order to fulfil the needs of a wide spectrum of users. They range from light, compact models which are easy to operate and transport, these are ideal for home use. Alternatively, our high powered professional models are ideal for intensive workloads. There strong structured is designed to resist heavy duty workloads. 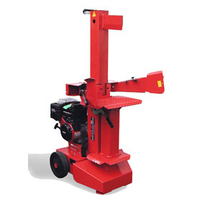 When choosing the right machine for your requirements, the following considerations should be taken into account: the dimensions and hardness of the wood to be cut and the type of power supply of the machine itself. 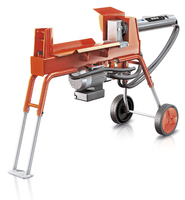 Different models are available with maximum splitting force of 4, 5, 7 and 9 tonne, suitable for splitting wood of different diameters and up to 100 cm in length. Electric models are recommended for use near to the home or in the vicinity of a mains power socket. By contrast the petrol engine version is recommended for use in places where no mains supply is available.